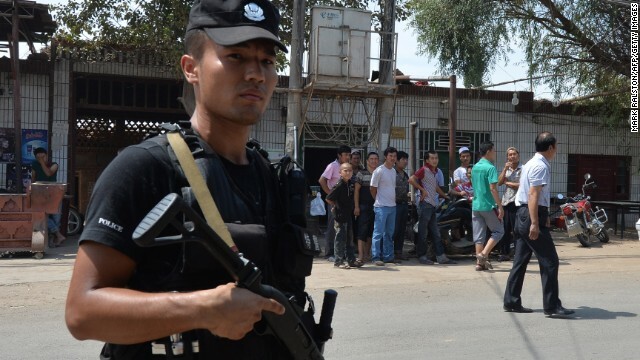 Xinjiang police said they had shot dead eight (Chinese Muslims referred to by Xinhua.net as terrorists) and captured another one as they busted an "organized and premeditated" terrorist attack on early Monday morning. Nine (men) attacked a police station wielding knives at around 6:30 a.m. in Shache County of Kashgar. They also threw explosives and set police cars on fire, the public security bureau of Kashgar told Xinhua. An initial probe showed the gang, led by Usman Barat and Abdugheni Abdukhadir, had gathered to watch videos and promote religious extremist ideas since August. They had also raised funds, made and tested explosives for planned terrorist attacks, the bureau said. Police reported no casualties. They confiscated 25 explosives and nine knives at the site of the attack. Local social order has returned to normal, according to police. Xinjiang in western China is a province rich in natural resources – a fact not unconnected with the unrest in which 140 people have died in the past few days. The region’s oil and gas riches have been a growing source of tension between the province’s original Uighur residents and the mostly Han migrants from the east, who now make up the majority of the population. Last year the FT’s Jamil Anderlini visited the region and described the desert surrounding the city “punctuated every kilometre or two by oil and gas derricks, each of them topped with the red Chinese national flag, an assertion of sovereignty over every inch of the energy-rich ground”. Xinjiang is the site of an important junction in a pipeline running through Kazakhstan, where Chinese oil companies own stakes in several oil producers, and which has just been extended to reach the Caspian Sea. Xinjang also contains China’s biggest natural gas reserves, and a 4,000km gas pipeline connects Xinjiang to Shanghai. It’s not just energy: migrants have also moved there to work on large state-owned farms that make the province China’s biggest producer of cotton and tomatoes. - the distribution of jobs between Han and Uighur. The latest violence indicates this has not been enough to smooth relations between the groups. Chairman Mao himself began extending Han control over Xinjiang when he dispatched waves of young immigrants in his "Go West" campaigns of the 1960s and early 70s. They increased population tenfold, over-grazed the fragile grasslands, and depleted the wetlands and aquifers. 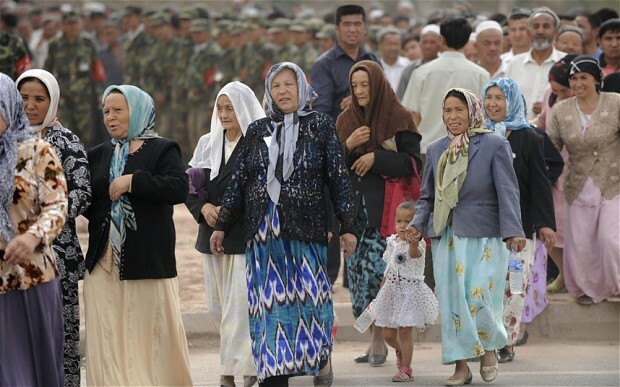 Now, as the ethnic Uighurs constitute only 41% of Xinjiang's population, and the strategic importance of oil and gas continues to grow, what was once the "Uighur Autonomous Region" is a resource colony ruled from Beijing. Uighurs have become a despised minority, economically and politically disadvantaged, discriminated against in employment, education and civic life. Many Han view them as backward, lazy and inclined to terrorism. 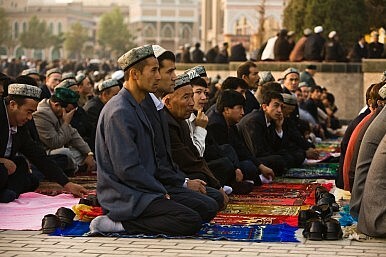 Uighurs reciprocate the venom. The "Harmonious Society" extolled by the Communist Party is more a call for China's ethnic minorities to be docile, focused on attaining "modern prosperity and complicit in the ecological destruction which lies in the wake of the rampant exploitation of landscapes across Tibet, Xinjiang and Inner Mongolia. Meanwhile Internet "thugs" now clobber any bloggers they consider "anti-Chinese" while they clutter the airwaves with their Han nationalistic is-information. May the lovers of true harmony--that derives from justice, freedom and a healthy environment-- prevail, whatever their nationality.